Carine Baudry, head of the Tea School, has just returned from Darjeeling. The trip was organised by the school to allow some of the students to visit the plantations and gain a first-hand understanding of how tea is made. Carine and her eight students stayed in the beautiful surroundings of a tea garden and observed every stage in the production process. They met several planters and were able to ask plenty of questions. They also visited Delmas Bari and admired the breathtaking landscapes of this Himalayan region. 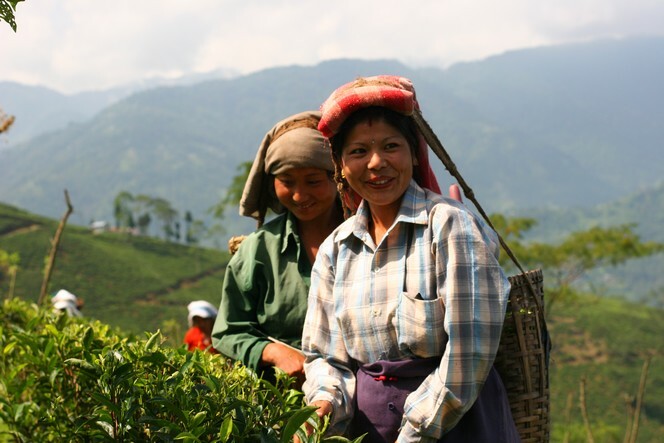 And there were plenty of opportunities to meet the smiling tea pluckers, like the two women pictured here. Darjeeling is famous for tea gardens and also for good hotels…:)Mayfair,Windamere,Hotel Darjeeling palace these are very good.